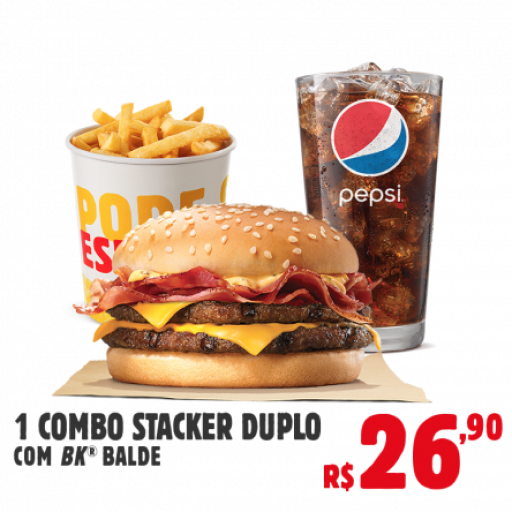 Burger King: Combo Stacker Duplo com Balde de Batata por R$26,90! 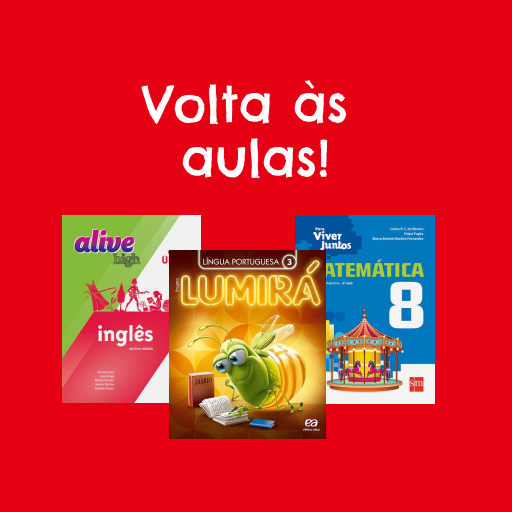 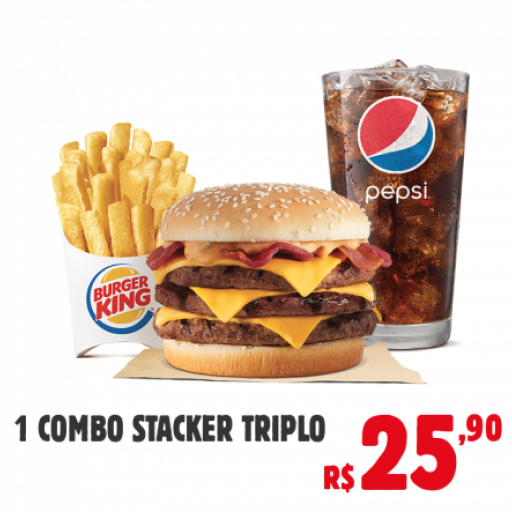 Burger King: Combo Stacker Triplo por R$25,90! 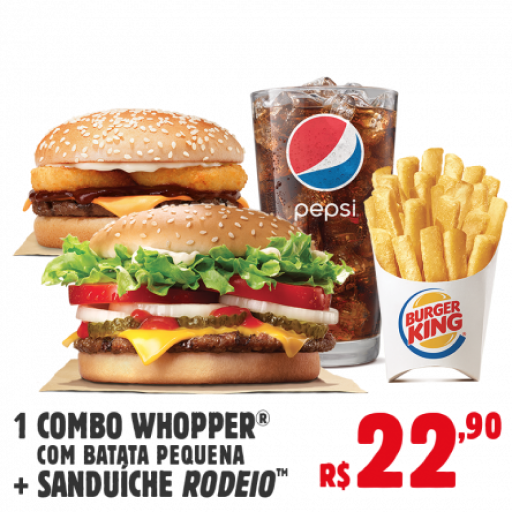 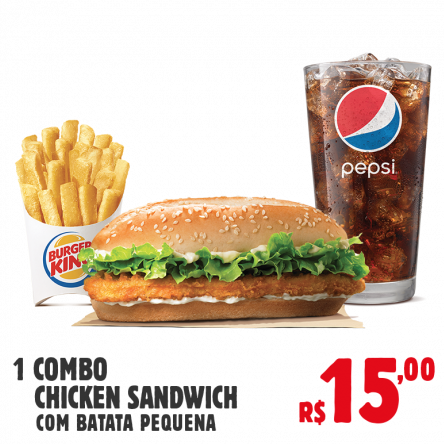 Burger King: Combo Whopper + Sanduíche Rodeio com Batata Pequena por R$22,90! 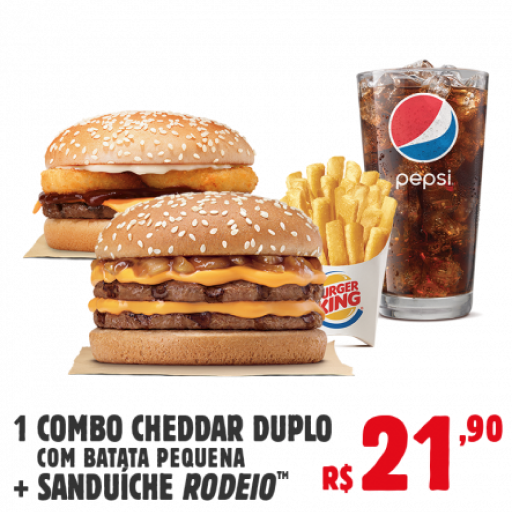 Burger King: Combo Cheddar Duplo + Sanduíche Rodeio com Batata Pequena por R$21,90! 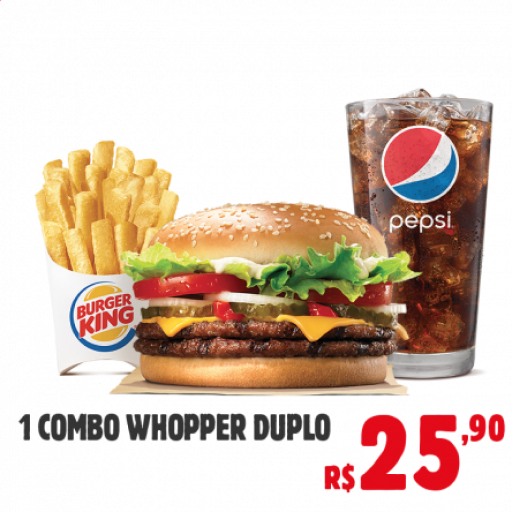 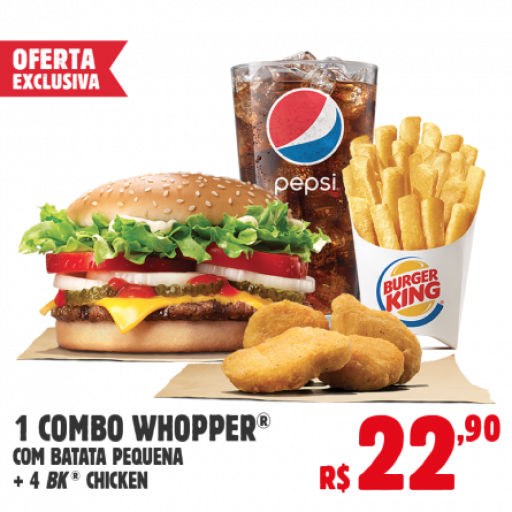 Burger King: Combo Whopper Duplo por R$25,90!